posted by Howard B. Owens in girl scouts, alexander. Members of Girl Scout Troop 42031 in Alexander were at the Alexander Fire Hall this week to take on a few community projects, including making blankets and care bags for families visiting the Ronald McDonald House, and care bears for Sheriff's deputies to provide to children they encounter in their jobs who might be in the midst of a stressful situation. 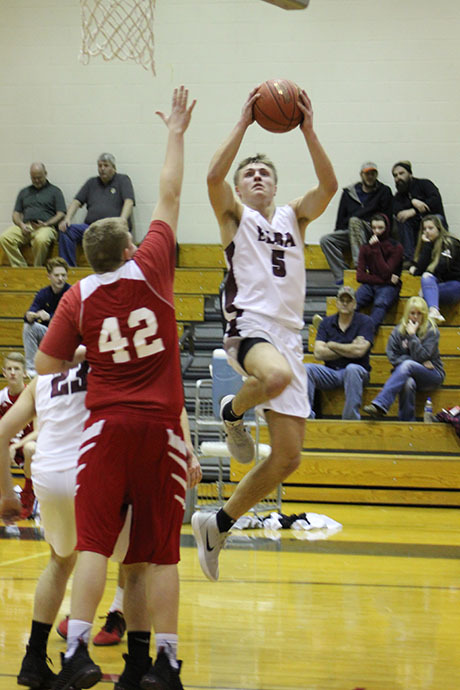 posted by Howard B. Owens in basketball, sports, elba, alexander. 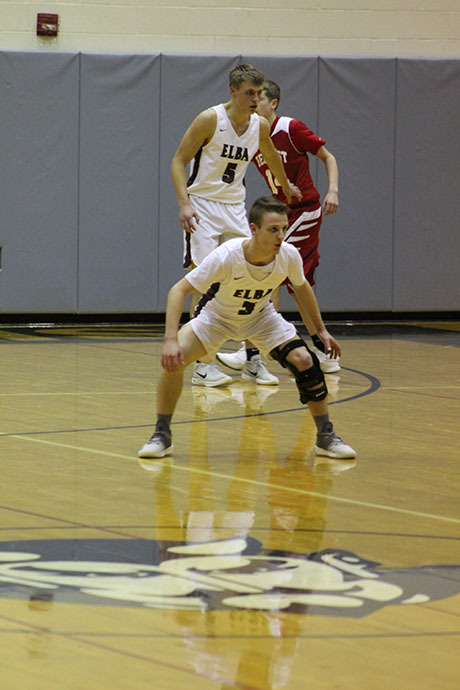 The Elba Lancers lost to Belfast at Mount Morris on Tuesday night in the Class D2 Section V semifinal 44-40. 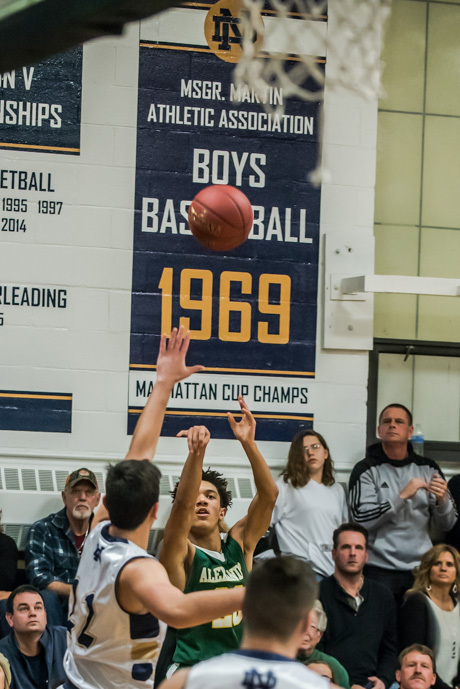 Also on Tuesday, Alexander lost to Red Jacket 71-58 in the Class C2 Section V semifinal. 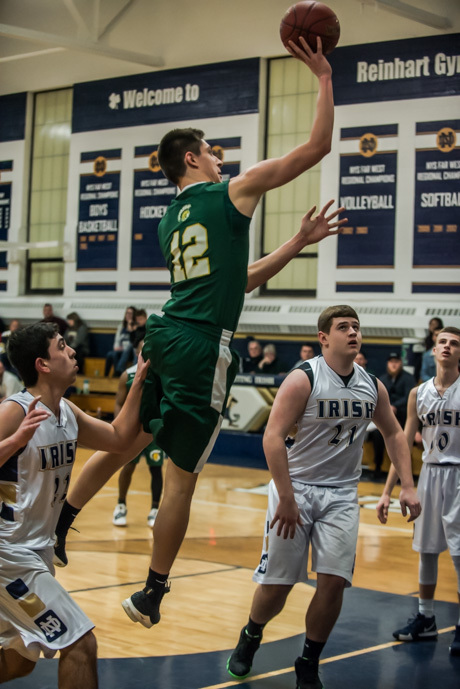 There are no boys teams from Genesee County who survived past the semifinal rounds of the sectional playoffs. posted by Billie Owens in news, alexander, accidents. 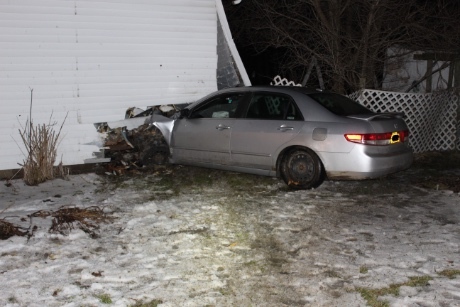 The Attica Police Department responded to a reported car into a house accident at 63 Buffalo St., Attica, at about 6:38 p.m. on Saturday, Feb. 23. Upon arrival officers found a 2004 Honda had gone off the roadway and struck a house causing significant damage to the vehicle and structural damage to the residence. The operator of the vehicle, 33-year-old Nathan S. Bowes, sustained minor injuries and was evaluated by EMS staff at the scene, however refused any further medical aid. Upon further investigation it was determined that alcohol was involved and the accident location was outside of the Village of Attica and in the Town of Alexander, Genesee County. Genesee County Sheriff Office was contacted and the scene was turned over to deputies DeMuth and Glor for further investigation. Town of Alexander Building Code was contact and responded. It was determined that the section of the residence was inhabitable due to the significant structural damage. Attica Fire Department and EMS assisted at the scene along with Alexander Fire Department. The incident scene was on Buffalo Street east of Sokol Drive. posted by Howard B. Owens in accident, news, alexander. A one-vehicle rollover accident, believed to be with injuries, is reported in the area of 9224 Alexander Road, Alexander. A caller says it appears an occupant or occupants are beginning to crawl out of the vehicle. Alexander fire and ambulance dispatched. Mercy EMS is also responding. UPDATE 9:48 a.m.: Both occupants are out of the car. UPDATE 9:53 a.m.: Mercy EMS can disregard. Alexander's ambulance will handle sign-offs. 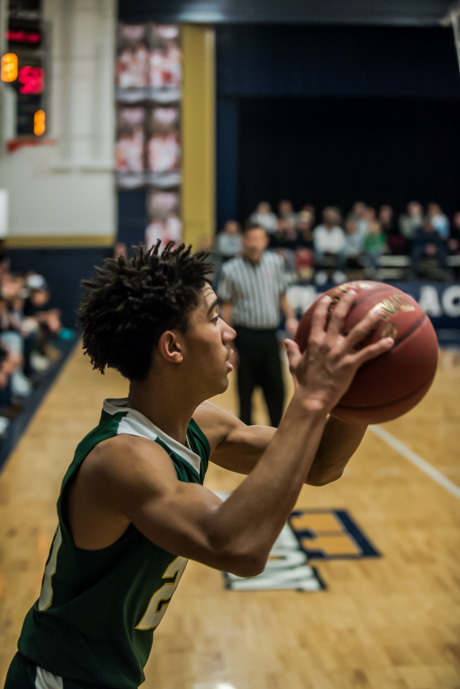 posted by Howard B. Owens in sports, news, alexander, Notre Dame, basketball. 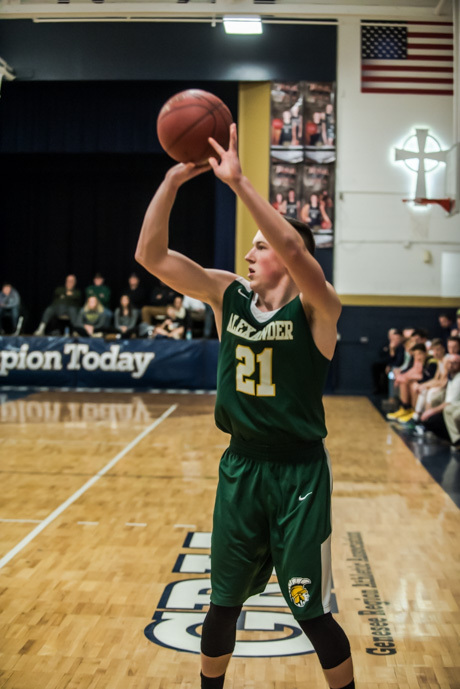 For the seventh time in 13 games this season, the Alexander Trojans topped 60 points en route to their 10th win, beating Notre Dame at Notre Dame, 63-52. Chris McClinic led the Trojans with 24 points, hitting a pair of three-point baskets along the way, and senior captain Ryan Davis scored 13 points. 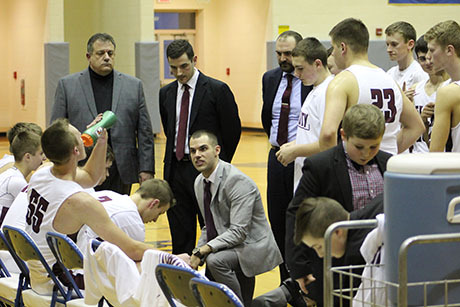 "At the beginning, we were able to attack their two-three zone," said Trojan Coach Wayne Hanley. "We were able to get through it pretty quick and made them change things up. I thought Notre Dame did a good job shooting but we did a good job on the boards." With eight wins against Genesee Region competition (10-3 overall), Alexander is tied for the league lead with Lyndonville and Elba. The Trojans lost a home game to Elba on Wednesday, 61-45, and have also lost to Greece-Odyssey, 91-54, and to Cal-Mum, 73-63. "The kids are playing really well," Hanley said. "We faced some tough competition. Greece-Odyssey, then we played Cal-Mum, and that helped us prepare for the GR itself. The GR is very tough this year. We’ve played some tough games but we’ve been focused every game so I think that has really helped us out." 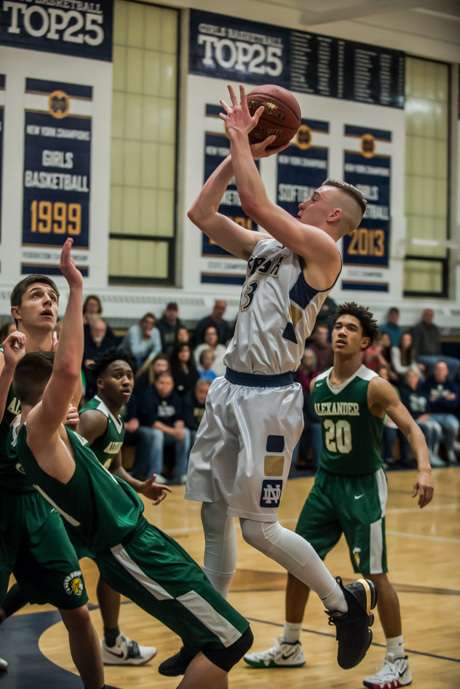 For Notre Dame, now 6-8, Spencer Misiti scored 16 points, Gabe Macdonald scored 12, and Zachary Cocking scored 11. Thank you to Coach Hanley for participating in a video interview. Unfortunately, the audio did not come out well enought to use with this video. posted by Billie Owens in alexander, Milestones. Ben Edward Slenker, of Alexander, a Chemical Engineering major, was named a Presidential Scholar for the fall 2018 semester at Clarkson University. Clarkson University educates the leaders of the global economy. One in five alumni already leads as an owner, CEO, VP or equivalent senior executive of a company. With its main campus located in Potsdam, New York, and additional graduate program and research facilities in Beacon and the state Capital Region, Clarkson is a nationally recognized research university with signature areas of academic excellence and research directed toward the world's pressing issues. posted by Howard B. Owens in news, alexander, Alexander Fire. 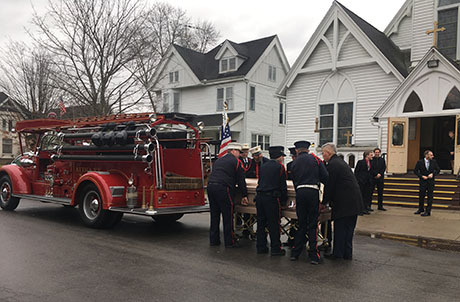 Gerard J. Buckenmeyer, 89, of Alexander, was lain to rest today at St. Vincent’s Cemetery, Attica, escorted by members of the Alexander Volunteer Fire Department, which he served for much of his life. 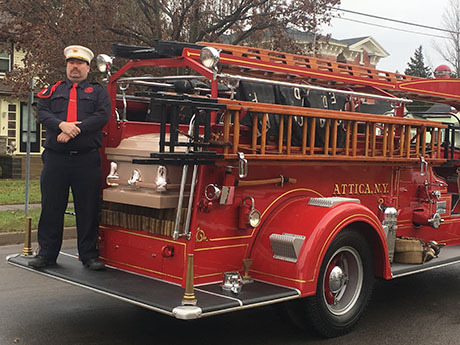 Buckenmeyer, a lifelong Alexander resident, was a past president of the Alexander Volunteer Fire Department, Western New York Fire Association, and the Firemen’s Association of the State of New York, more commonly known as FASNY. He was past president and longtime member of Alexander Central School Board of Education. 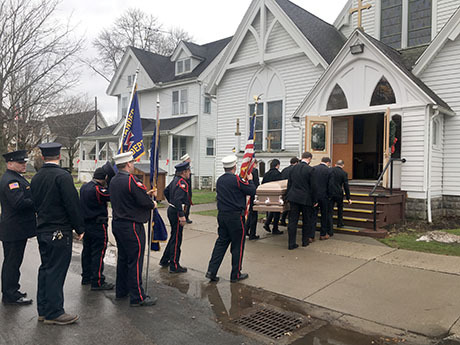 He was a postal carrier and a member of the Rural Letter Carrier Association. Photos submitted by Barbara Eddy. A motor-vehicle accident with no injuries is reported at 9481 Alexander Road, Alexander. Alexander fire and ambulance dispatched. An Alexander chief on scene requests fire police for traffic control. The roads are slick and units should proceed non-emergency and with caution. UPDATE 10:52 a.m.: Shortly after a chief mentions "we need to get people to slow down," he reports, "we've got another one in a ditch." The roads are slippery. UPDATE 10:54 a.m.: A DOT salt truck is in route. UPDATE 11:04 a.m.: One member of fire police warns the other to "be carefull -- these people are not listening or following directions." posted by Howard B. Owens in alexander, schools, education, news, notify. Voters in Alexander yesterday rejected a $12.6 million capital improvement project that would have allowed the school district to build a new bus garage, upgrade some elementary school classrooms and install lights on the football field. The ballot proposition failed by a 61 to 39 percent margin, or 183 no to 117 yes. School officials said the current bus garage is beyond repair and its location and configuration is a traffic safety hazard. Critics accused the Alexander CSD of using the community's long-standing request for lights on the football field as a way to bribe voters into approving the expenditure. The projects were going to be funded by $1.9 million from capital reserves (money designated for such projects), $705,000 from other reserves, and more than $10 million in state aid. Passage of the measure would have required the district to take out $10 million in bonds, with state aid making the bond payments, over the 15- and 30-year life of the bonds. Officials said the bus garage is in such bad condition that state officials will soon force its replacement. posted by Howard B. Owens in alexander csd, news, alexander, schools, education, notify. 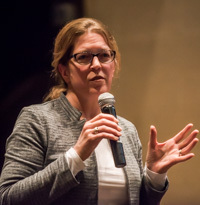 A $12.6 million capital improvement proposal for the Alexander Central School District truly is a collaborative effort by members of the local community, Superintendent Catherine Huber, Ed.D., told residents at a community forum Wednesday night. 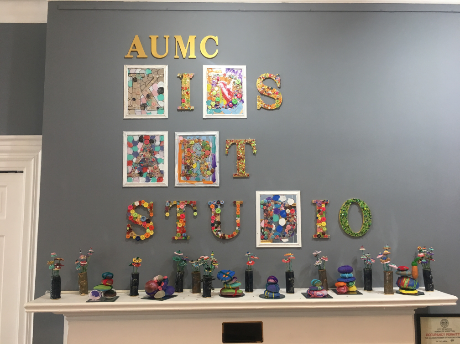 "The committee worked tirelessly for several months and really came up with a plan that represents the voices of the community," Huber said. "The work was nothing but true collaboration and this plan really does represent the voices of our community." The plan calls for a new bus garage, four upgraded classrooms in the elementary school building, and lights for the football field. There are some in the community, including Toby Wade, who had a lot to say at the forum, who suspect the lights for football is a sort of bribe of the community to get approval for the bus garage. "There is a perception out there by some people, and I admit, I'm one of them, who think you are just throwing them a bone so you can get the rest of the stuff you want," Wade said. Huber said the football lights were included because lights on the football field are a long-standing request of the community. She said it was one of the first things brought up to her by community members when she joined the district two years ago. The need for a new bus garage and dealing with the classroom situation is driving the need for a capital project, and that creates an opportunity to wrap in lights for the football field. "We feel like this plan is not a matter of throwing a bone to anybody," Huber said. The state requires school districts to do a facilities review every five years and identify potential issues that need to be addressed. To comply with that requirement, Huber said, the district formed a committee -- any member of the community was able to participate -- and committee members toured the entire district property. "When we came back from our site tour, almost everybody in that room knew what our priorities should be," Huber said. "When we toured the transportation facility, we realized what dire straits that transportation facility is in. We had no idea what condition the classrooms were in on the garden level but flooding was happening there regularly. The transportation facility and the elementary school building, we knew we had to do something about that. That was our jumping off point." The current bus garage is beyond repair, Huber said. Bricks are deteriorating, there are other structural problems, and modern buses don't fit in it well. There is also a persistent complaint about the safety of the current location. The current configuration means buses must back up into both car and pedestrian traffic areas. 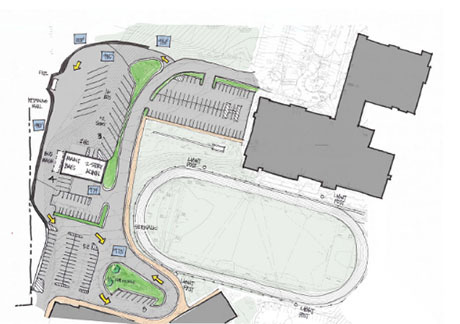 Another long-standing request from the community, Huber said, is for a sidewalk connecting the high school with the elementary school in order to improve safety. The proposed new transportation facility would eliminate indoor parking for buses (a configuration the state would not fund), create bays for bus maintenance, and a second floor for offices for transportation staff. The transportation facility would be on a raised elevation, creating separation from pedestrian traffic on the sidewalk next to the football field. Huber said the district decided to build a new transportation hub at the present location of the bus garage because there was no other available space on school district property and with declining enrollment, it made no sense for the district to acquire off-campus property for buses. "We looked at several locations on campus and everywhere we ran into issues -- slops, water flows, traffic," Huber said. "It's a very complicated space." Becky Cokelet, project consultant, from SEI Design Group, explained the situation with the elementary school classrooms. There is a problem with flooding in the lower southwest area of the building because of soil conditions and that has caused damage to the building. The plan also calls for eliminating the bathrooms in each classroom and converting those to storage closets. Two new multi-stall bathrooms will be added where there is currently a classroom. The classrooms will be updated with modern fixtures and features and module desk units purchased. There will also be new lockers installed in the hallway. and, 79 percent funded by state aid. There will be no tax increase in either the near-term nor the long-term related to the project, Financial Director Tim Batzel said. The district will be required to take out a 15-year bond on the classroom renovations and a 30-year bond for the new building but there will be no increase in the tax levy as a result. The bonds will be repaid over the years by reimbursements from the state, not out of district funds (after the allocated reserves are spent). While the statutory language of the ballot measure voters are being asked to approve Monday discusses using tax levy funds to pay for the project, that is language required by state law. In reality, Batzel, future tax levy money will not be used for the project. The expense of the project is completely covered by existing reserves and state aid. If voters approve the project, Cokelet and her SEI colleagues will need until June 2019 to draw up architectural plans, then state officials will need to approve those plans -- a process that takes several months -- so construction won't begin before 2020 and then will take 10 to 12 months to complete. Toby Wade said it seemed like there were a lot of unanswered questions about project details, particularly around the design of a retaining wall that he and others thought could present a safety issue. Huber assured the audience that there is no way the district would approve plans that didn't adequately address safety issues. As for the lack of detailed design plans, Cokelet said the stages of development are driven by state regulation. First comes the assessment, then a preliminary plan, which requires state approval, and then that plan is presented to the school board for approval. After the board approves it, it is brought to district voters for consideration. It's only after voters approve it that architects can begin to actually design the buildings and infrastructure of the project. Wade said that process is a problem because the district voters have been burned before. "The year 2000 building project was a complete failure," Wade said. "We had to go through lawsuits and it was a huge disservice to people. I can respect that you're trying to do what is needed, but a lot of people in the community aren't going to trust that you're doing your due diligence and trust that it's all going to turn out right." Cokelet didn't deny the previous project had numerous problems but she said she wasn't involved in the 2000 project, nor was her company. "I'm ashamed on a professional level, on behalf of my profession, how that firm represented (and) handled that project, but thankfully that firm is out of business," Cokelet said. However, the district won't be able to maintain the garage much longer. Soon the state will require it be replaced. "I understand this requires faith and trust but I hope you will look at our most recent projects and I hope you see the great work that was done on limited budgets," Cokelet said. Voters in the Alexander Central School District can vote on the capital improvement project at the school on Monday (Dec. 3) from noon to 8 p.m.